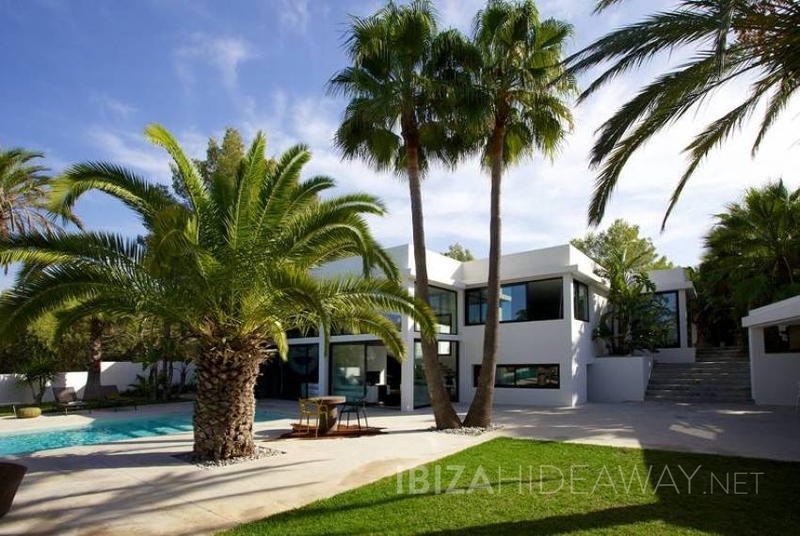 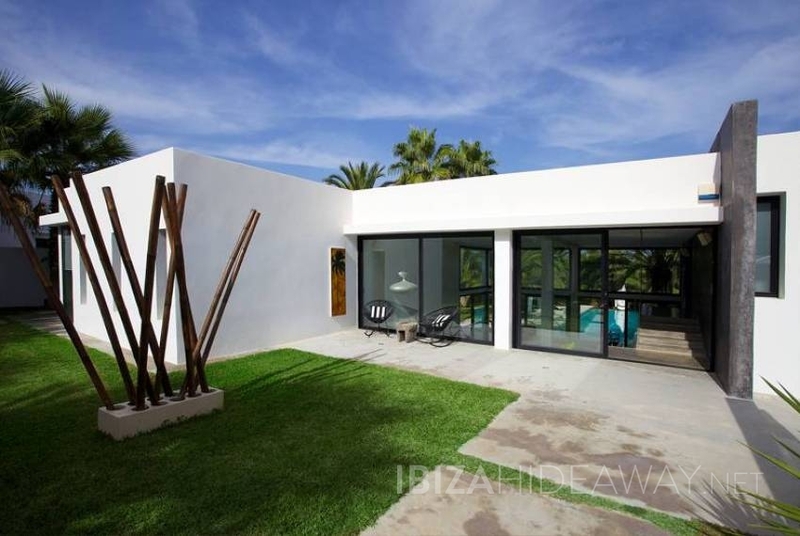 The Villa is an elegant modernist home found in beautifully landscaped, exotic gardens. 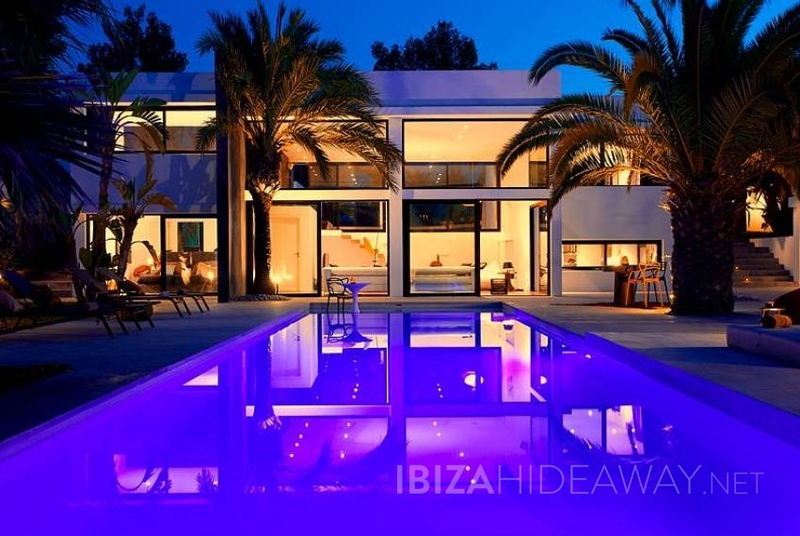 The cool white and the polished cement of its architectural design are softened by vivid colours, reflecting the colours of the setting sun and the rising moon near Cala Conta, one of the most romantic bays on Ibiza island. 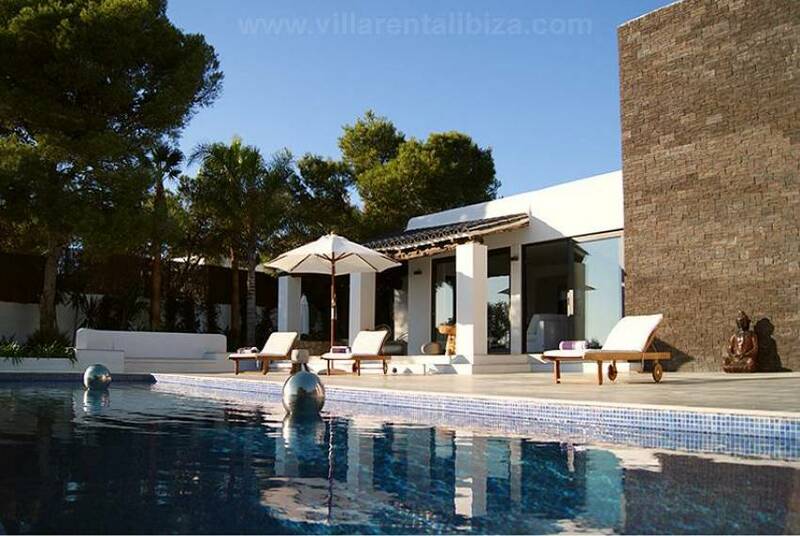 The villa offers sea views from the first floor of the house. 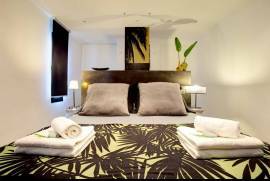 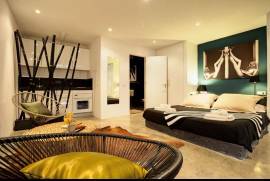 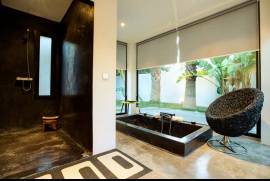 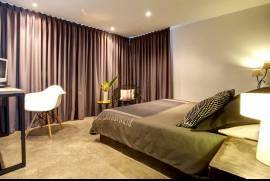 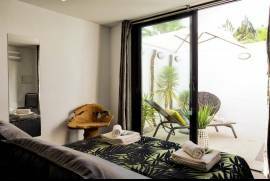 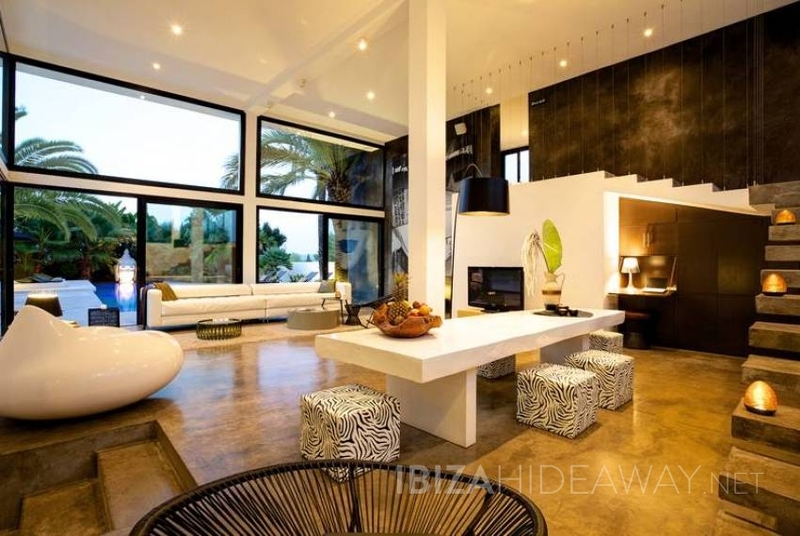 Modern and daring in furnishing and decoration, the owners of this villa have chosen a consequent line for every bedroom. 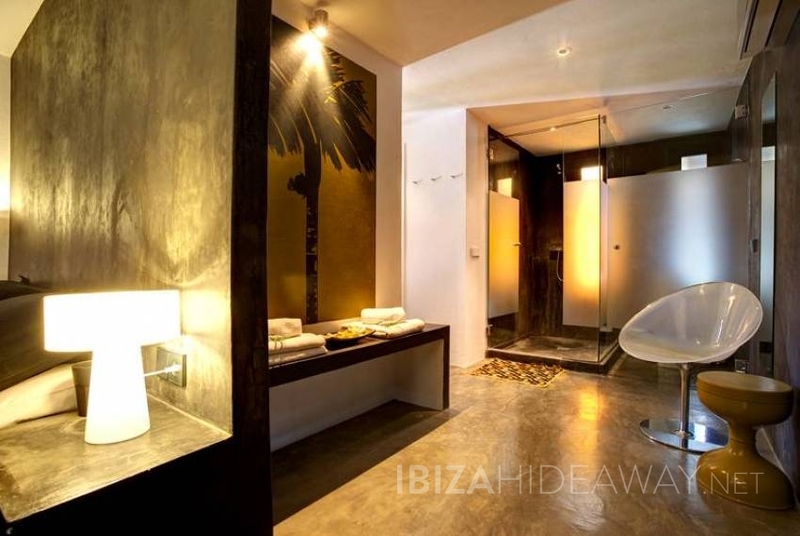 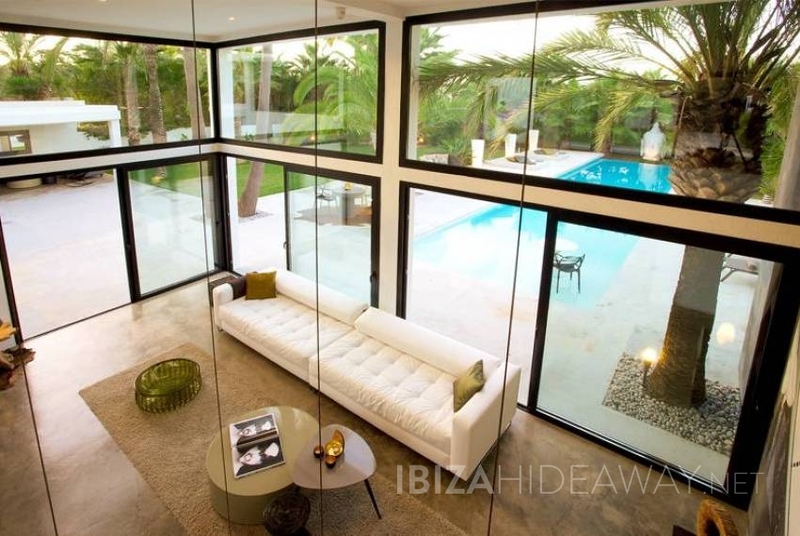 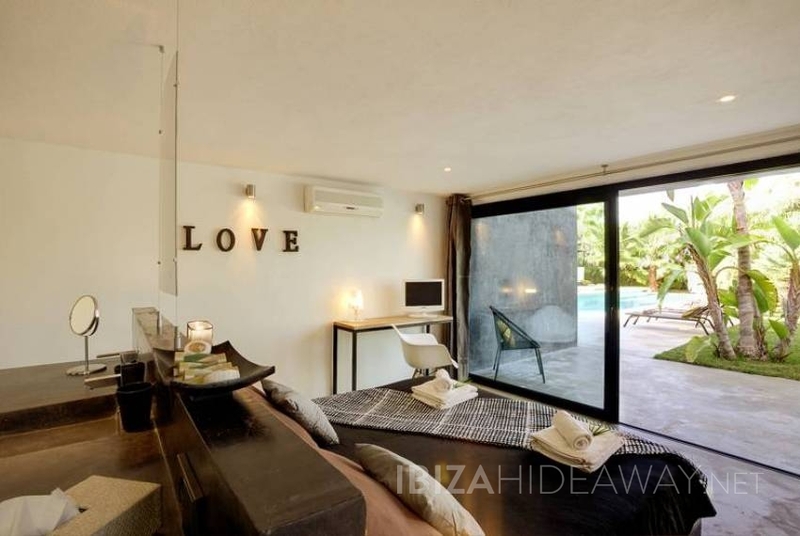 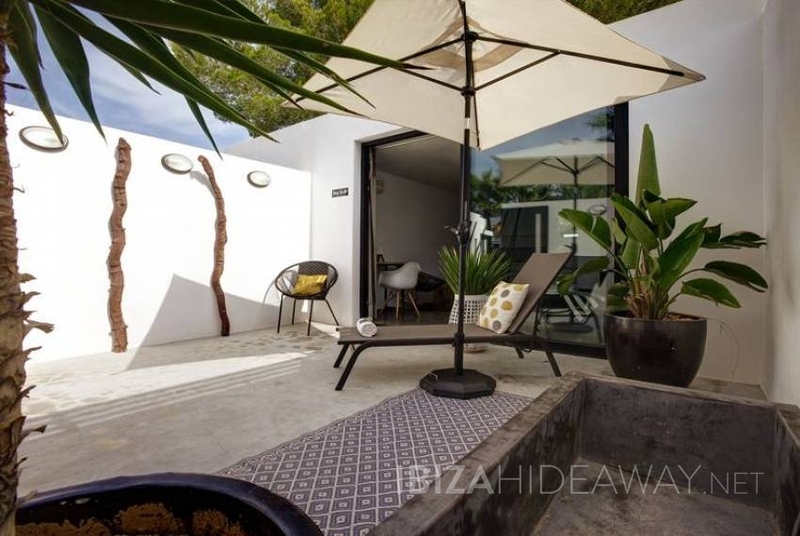 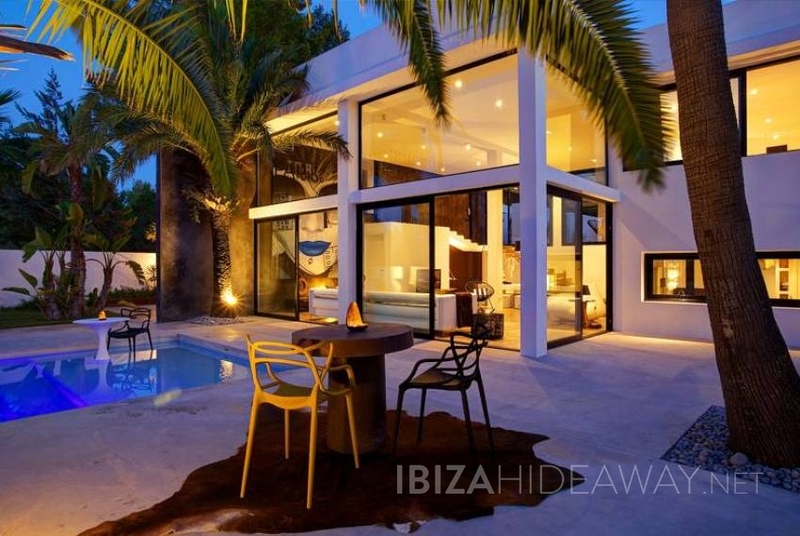 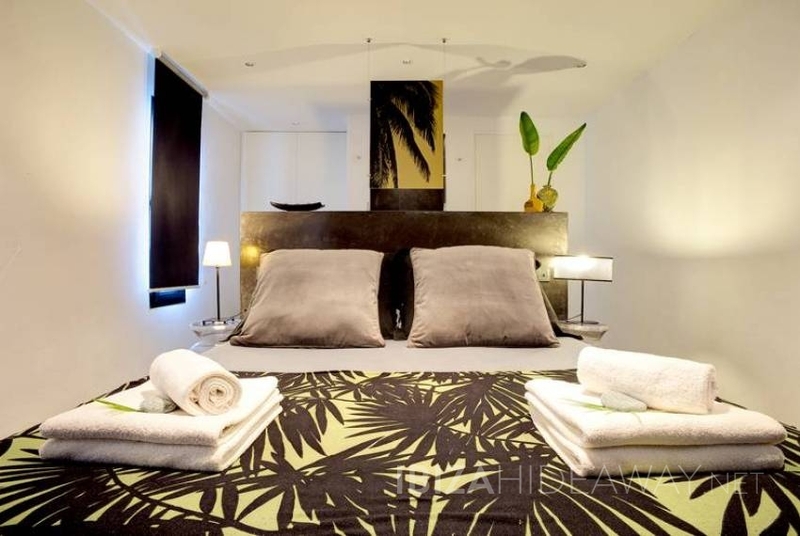 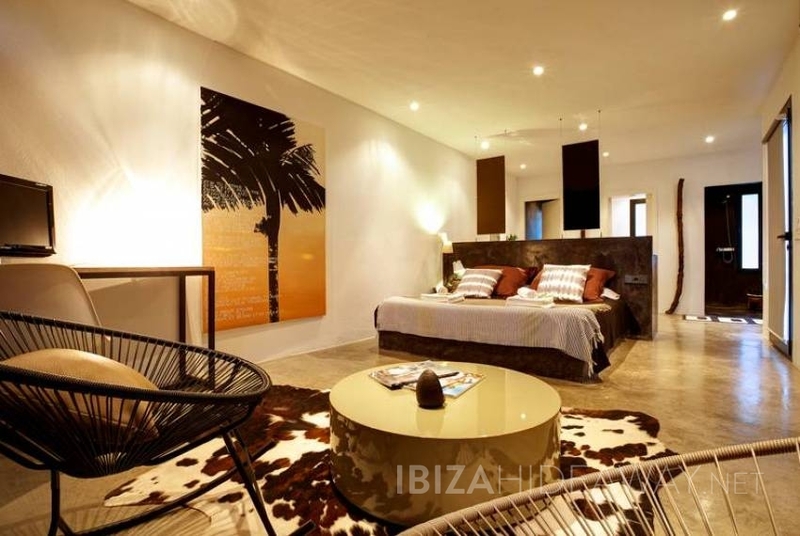 Minimal coolness meets exotic abundance and joyfulness, this villa captures Ibiza´s spirit in every detail! 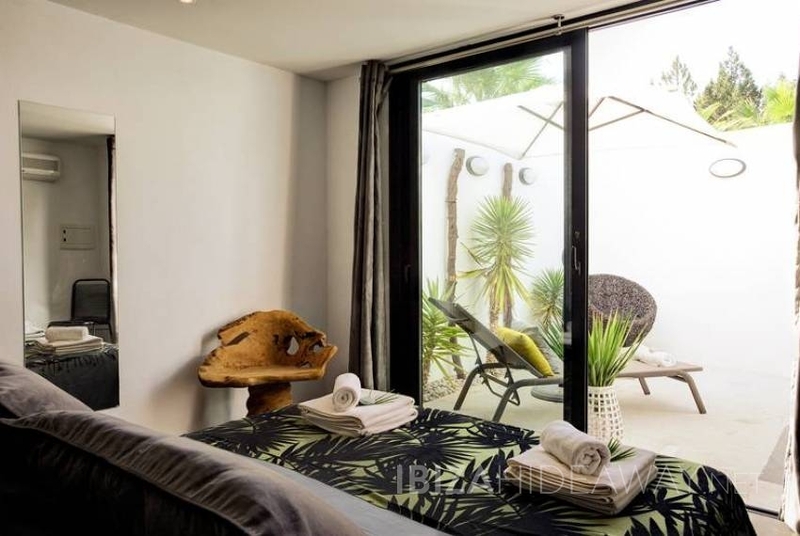 The whole villa is a piece of art and design, framed by the most beautiful, exotic garden, adding a fresh green touch to the overall image and not to forget the sweet smells lavander and jasmin. 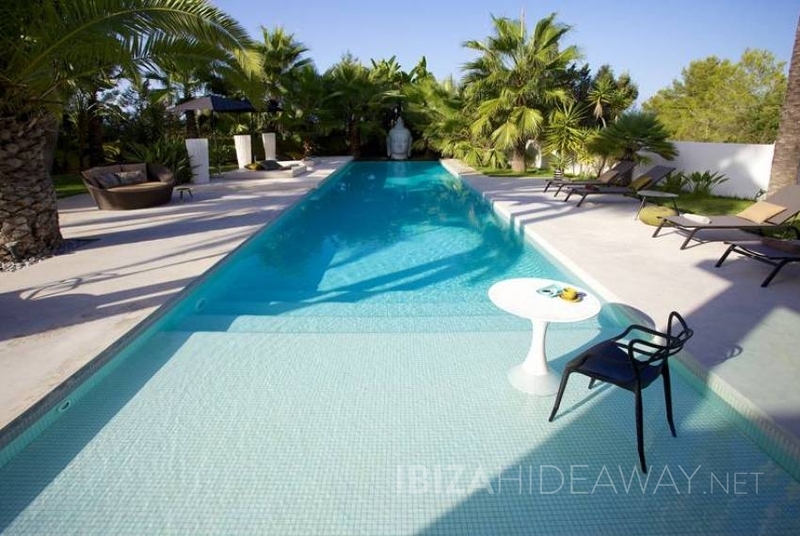 The centrepiece of the garden is doubtlessly the 20 m pool with its large sundeck. 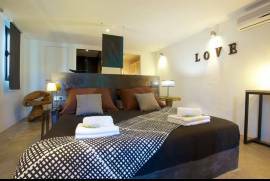 * Five double bedrooms, all with their en suite bathrooms. 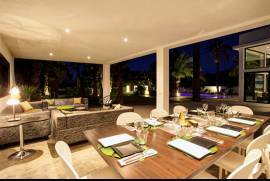 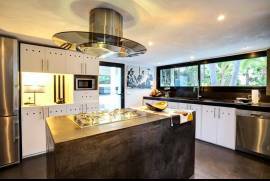 * Kitchen, sitting and lounge area, large indoor and outdoor dining spaces. * A/C throughout, WIFI, satellite television. Near Cala Conta and Cala d'Hort beaches, Cala Jondal and Las Salinas. 20 min. 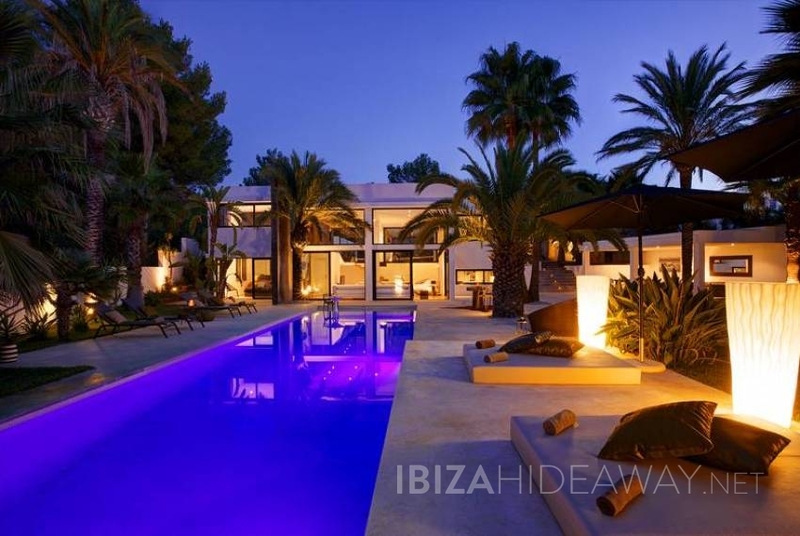 drive to Ibiza town. 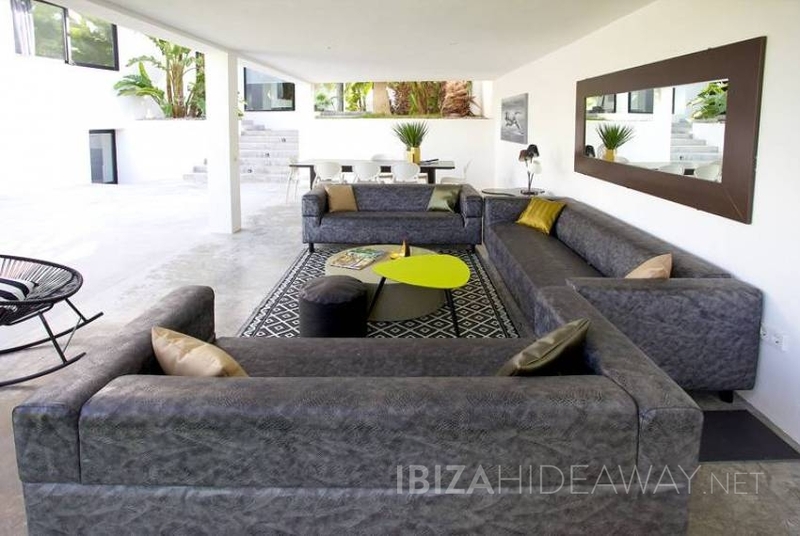 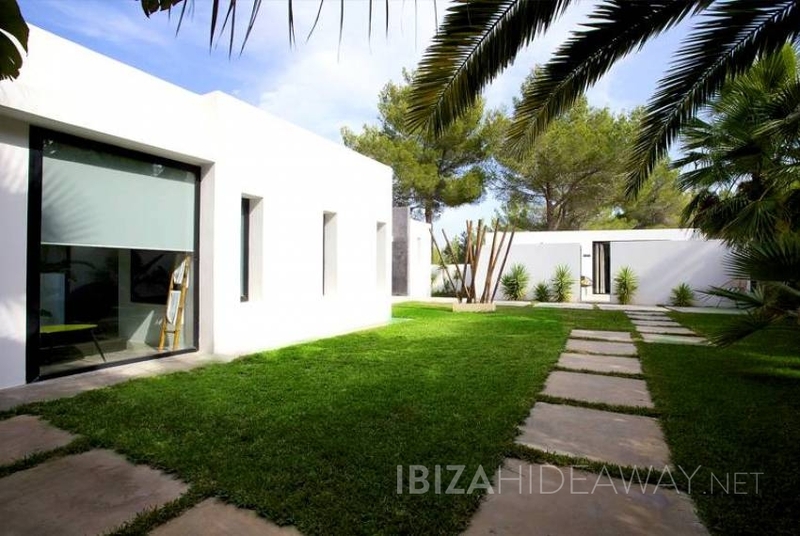 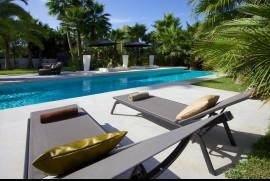 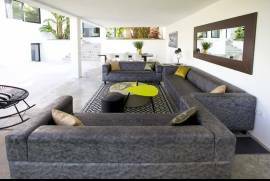 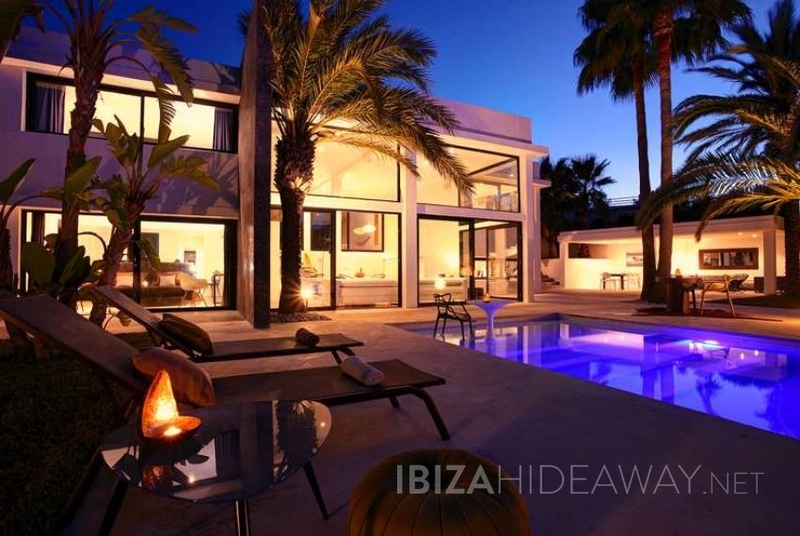 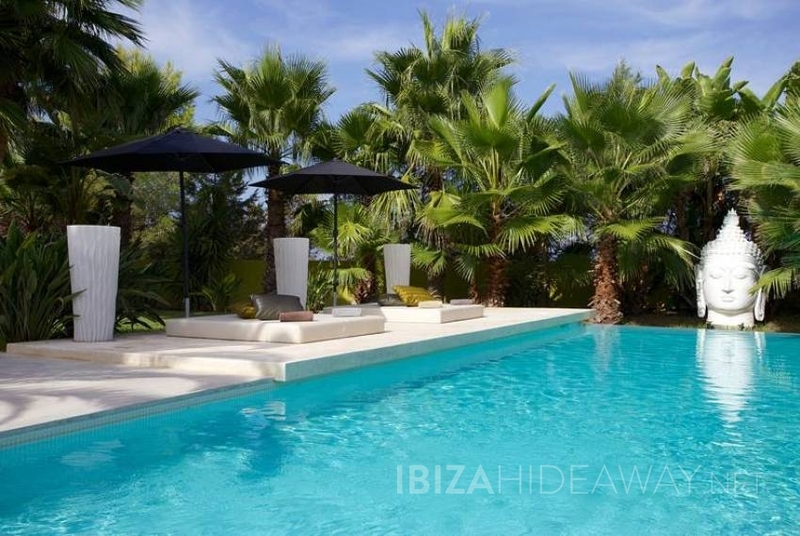 Brandnew luxury designer villa with a minimal touch at walking distance to the beach in the southwest of Ibiza island.